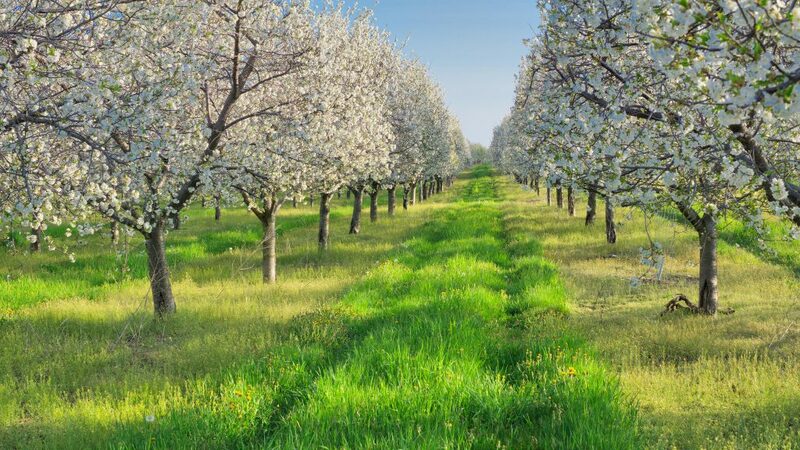 It won’t be long before Leelanau’s thousands of fruit trees burst into bloom, covering our rolling hillsides with their one-of-a-kind beauty. That alone is cause for celebration, but there’s more. In 2018 we protected the 190-acre iconic Putnam Farm in Omena, as well as 99 acres in Solon Township owned by Keith Parker. By the end of 2018, there were 10 more farmland protection projects in the works. The good news: seven of them—totaling 865 acres all over the county–have already received partial funding from the Natural Resources Conservation Service. 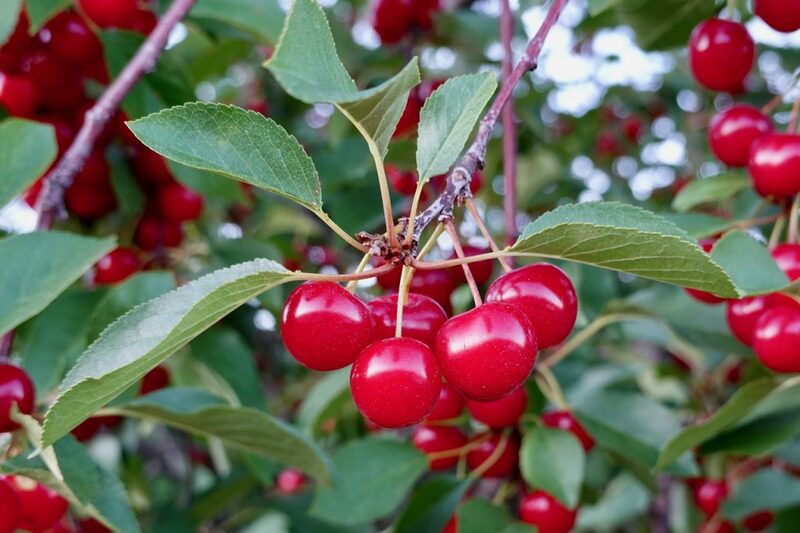 Three more farms are in the application stage (320 additional acres) and we are hopeful that those projects, too, will be in line for permanent protection. The passage of the 2018 Farm Bill at year end, championed by Michigan Senator Debbie Stabenow, was great news. 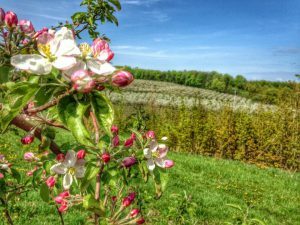 The Farm Bill provides 50% of the funding that organizations like the Leelanau Conservancy need to move farmland protection forward. Donations from members like you fund 25% of the cost, and farmers donate the remaining 25%. 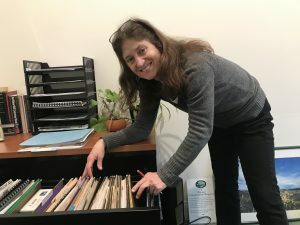 Land protection specialist Kim Hayes has a file drawer full of folders neatly labeled with each project. It can take anywhere from one to three years for a farm project to cut through the red tape of the application process. Land appraisals must happen. Title work must be ordered. Grant applications are complicated and time consuming. And farm families need to be kept in the loop every step of the way.